Make a striking addition to your wardrobe with this trendy tunic. 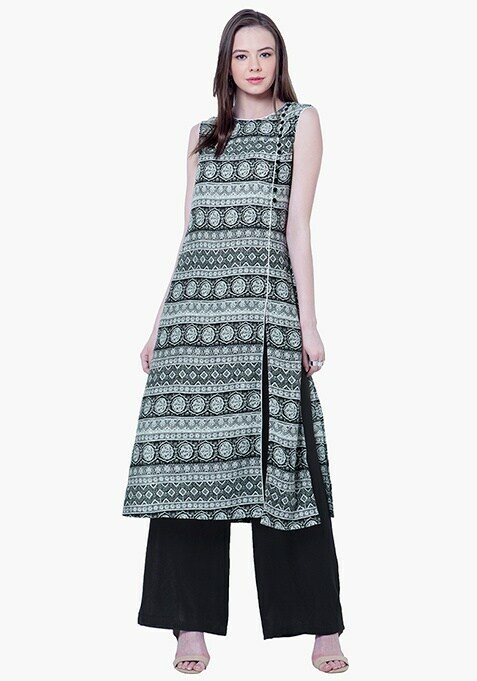 It features white piping and black button detail, round neck and side slits. Easy slip-on wear. Work It - Looks on-point with flared trousers and wedges.